After 60 years of its existence, the Commonwealth of Nations, formerly the British Commonwealth, is a remarkable organisation which remains a major force for change in the world today. The Commonwealth is a voluntary association of 54 independent countries, almost all of which were formerly under British rule. The origins of the Commonwealth come from Britain's former Empire. Many of the members of the Commonwealth were territories which had historically come under British rule at various times by settlement, conquest or cession. The administration of such colonies evolved in different ways, to reflect the different circumstances of each territory. To reconcile these aims, the 1949 London Declaration recognised King George VI as Head of the Commonwealth. 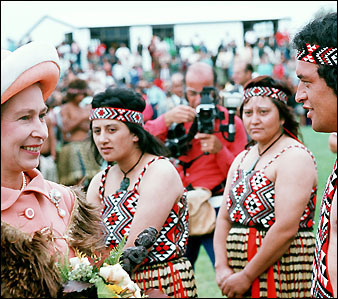 Following his death, the Commonwealth leaders recognised Queen Elizabeth II in that capacity. The origins of the Commonwealth lie in Britain's former colonial empire. Until 1949, the member states of today's Commonwealth were united through common allegiance to the British Crown. After the Second World War, many countries sought their independence. Soon after attaining independence in 1947, India declared that it wished to adopt a republican constitution, but also wanted to remain within the Commonwealth. This was accepted in the London Declaration agreed at the Commonwealth Heads of Government Meeting in 1949, provided that India accepted King George VI as "the symbol of the free association of the independent Member Nations and as such Head of the Commonwealth". Over the next two decades, British rule ended in many parts of Africa, Asia, the Caribbean, the Mediterranean and the Pacific. With a few exceptions (such as Myanmar, formerly known as Burma), the newly independent countries joined the Commonwealth and recognised King George VI and, following his death, Queen Elizabeth II, as Head of the Commonwealth. The London Declaration made it possible for the Asian and African states of the former Empire, most of which wished to become republics, to remain within the Commonwealth upon attaining independence. This has led to the development of the contemporary Commonwealth. Member countries of the Commonwealth can therefore have different constitutions: a republic with a president as Head of State (such as India and South Africa), an indigenous monarchy (for example, Lesotho, Malaysia, Swaziland and Tonga), a sultanate (Brunei), an elected Paramount Chieftaincy (Western Samoa), or a realm recognising The Queen as Sovereign (for example the United Kingdom, Canada, Australia and Barbados). 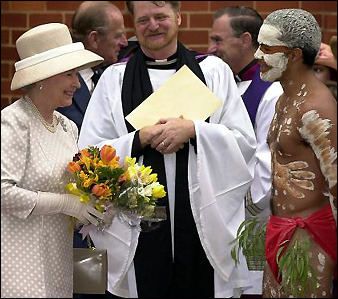 Whichever form their constitution takes, member countries all recognise The Queen as Head of the Commonwealth. Today the Commonwealth continues to play an important social and political role in the world, as a major association of countries. As The Queen declared in a Silver Jubilee speech in 1977, it symbolises "the transformation of the Crown from an emblem of dominion into a symbol of free and voluntary association. In all history this has no precedent." The term 'Commonwealth' was first used by British Liberal politician Lord Rosebery in Adelaide, Australia, in 1884. During a famous speech, he referred to the British Empire as 'a Commonwealth of Nations'. There are 54 member countries of the Commonwealth. These are listed below, with the years in which they joined the Commonwealth. Also listed is their constitutional status. 'Realm' indicates a Commonwealth country which has The Queen as Sovereign, while 'monarchy' indicates a Commonwealth country which has its own monarch as Head of State. Nauru is a Special Member which does not attend meetings of Commonwealth Heads of Government. Since membership of the Commonwealth is entirely voluntary, any member can withdraw at any time. The Republic of Ireland did so in 1949, as did Zimbabwe in 2003. The largest member of the Commonwealth is Canada, at nearly 10 million square kilometres. The most populous Commonwealth country is India, with nearly 1.1 billion people. The smallest member is Nauru, with only 13,000 inhabitants. The Commonwealth also includes the world's driest and most sparsely populated country: Namibia. Commonwealth Day is the annual celebration of the Commonwealth of Nations held on the second Monday in March, and marked by a multi-faith service in Westminster Abbey, normally attended by Her Majesty Queen Elizabeth II, Head of the Commonwealth, with the Commonwealth Secretary-General and Commonwealth High Commissioners in London. The Queen delivers an address to the Commonwealth, broadcast throughout the world. You have read this article British Monarchy / Commonwealth of Nations with the title Commonwealth of Nations. You can bookmark this page URL http://catolink4.blogspot.com/2012/07/commonwealth-of-nations.html. Thanks! No comment for "Commonwealth of Nations"